The prices of swimming pools are dropping fast these days with manufacturers and retailers competing for your business. You have two options when it comes to the type of pool you wish to purchase – above ground or in ground. Regardless of the type of swimming pool you have, chances are that you will require some form of pool heating unless you live in a location that is warm all year round. There are several different methods used for heating a swimming pool, an the things you will want to consider is which is the most efficient, low in cost and reliable option for heating your swimming pool. However, one thing you will need to remember is, that there is a large volume of water inside a pool so it is not always cheap and can take quite a while for the temperature of your pool to warm up. If you are living in any colder part of the world then you need to search extensively and find the best option for heating your swimming pool. Solar heaters are being used in different parts of the world for heating water, as once they are installed, they are very cost effective to run. Most solar heaters still require electrical motors to pump water, however the electrical power required for the pump is still a lot less than the amount of energy required for heating the water directly. Modern heaters which make use of gas for heating purposes are much more energy efficient than previous gas heaters and can be used for heating pool water. Heat pumps are also used for heating the water of swimming pools. Heat pumps use the hot air present outside and create hot gas. This hot gas is created within the coils which as a result heats the pool water. Heat pumps are effective for all the swimming pools in hot and humid climates. 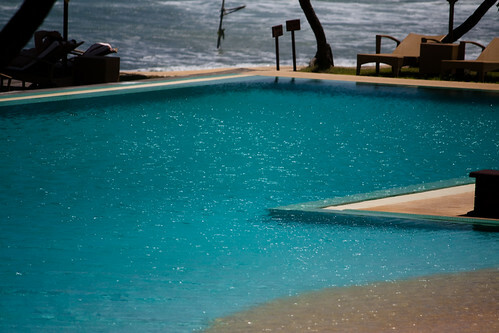 While constructing or renovating the swimming pool you can use black tiles for the base of pool. As we know that black color attracts most of the heat from sun, the water temperature of your swimming pool will rise significantly. It is an inexpensive method for heating your swimming pool if you live in a cold climate. YA pool cover is another great way to preserve its natural heat, while you are not using it. Now let’s jump back to the solar powered pumps which help in heating your swimming pool. These pumps, as you know are fast becoming popular. Solar pumps according to their name make use of the solar energy for heating water. And there is a whole system behind this process, which is quite simple, economical yet very effective. Water passes through various solar collectors, in which sunrays are converted into energy for heating the pool water directly. Mark Heffernan runs an Australian solar hot water company that services South East Queensland.